The collaborative project “Proyecto Fotovoz” was part of my ethnographic research exploring the experience of deafness in Mexico City, Mexico. These photos were taken during a photovoice project exploring deaf youth identity among sixth grade students at Instituto Pedagógico para Problemas de Lenguaje (IPPLIAP) from August 2012 – July 2013. Recognizing the necessity for multi-modal and visual communication choices with deaf participants, I planned the use of participatory, visual data collection methods. These methods included photovoice, which maximized deaf youth’s visual learning style and explored their visually-based understandings of the world. During weekly photovoice workshops, my co-investigator, Marcela, and I presented themes we hoped would lend insight into the participants’ experiences and identities. 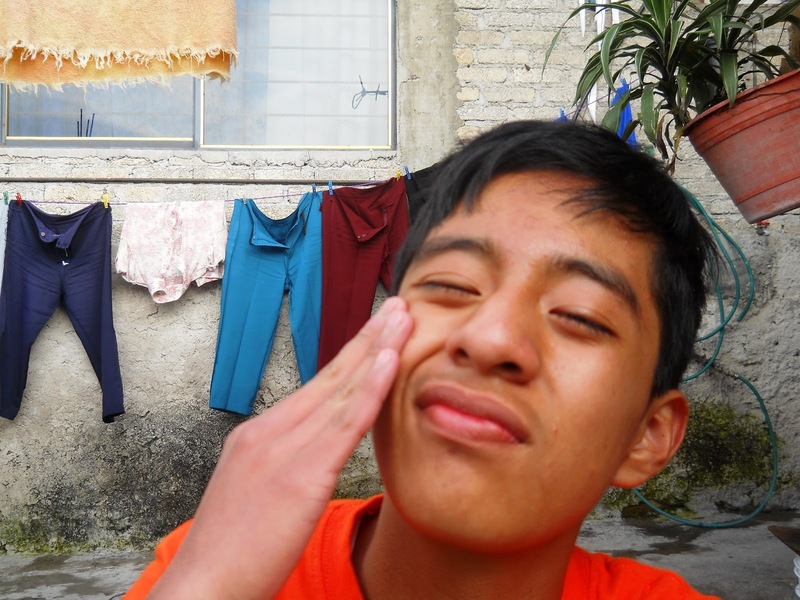 The 19 youth participants responded to these themes through photography, and presented their photos to their peers in Lengua de Señas Mexicana (Mexican Sign Language, or LSM) each week. Participants were also interviewed individually in LSM to follow-up on ideas generated in group discussion during the workshop. The participants’ photos were used as guides and visual cues to augment ethnographic interviews, which in turn generated new research themes through participatory analysis. In preparation for our community exposition, participants selected photos they felt best represented the project’s ten themes. The exposition was presented at a national convention for Mexican educators sponsored by IPPLIAP (the 9th Annual Señalees seminar and workshop for a bilingual model of educational for deaf children) and the sixth grade graduation ceremony at IPPLIAP. The photos presented here are a sample taken from our June-July 2013 collaborative exhibition. All photos and titles are the participants’ original work which they’ve given me permission to share and use for my research. In preparation for the exposition, Marcela and I interviewed the participants to learn more about these particular photos. During the interview process, participants created the titles for their photos in LSM. The original titles were interpreted into Spanish by Marcela, who is deaf and fluent in Spanish and LSM, and I added English translations for this presentation. 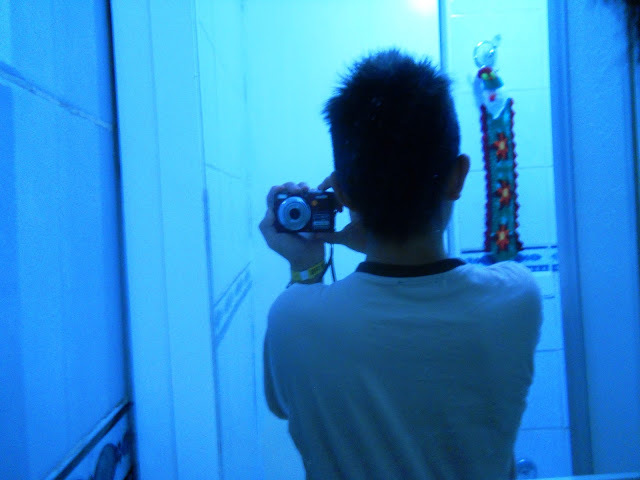 Interviews and participant-observation throughout the school year informed the thematic summaries of the photographs. The participants’ willingness to exhibit their creative photographic work constructed a venue through which we can learn more about the experience of being young and deaf in Mexico City. Deaf youth participants were asked to document a typical day in their lives by taking photos throughout the day. 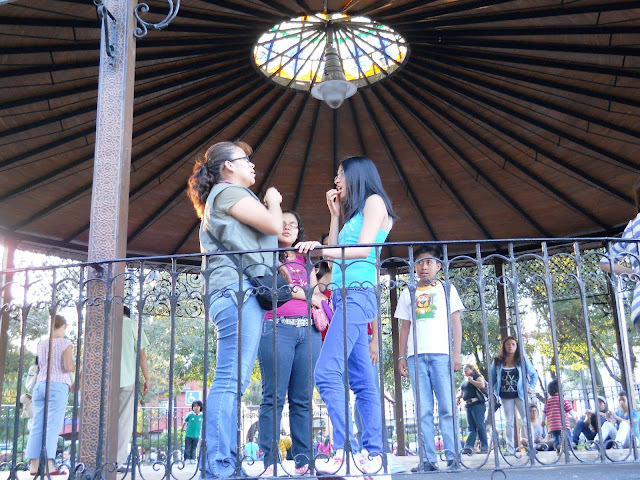 Juana Lucía chats with her mother in a mixture of signs and Spanish about her experiences at camp. 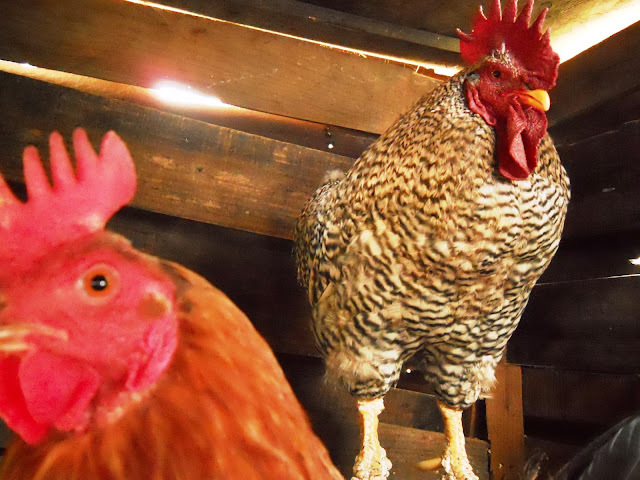 Adrián shows off his new hairstyle for the camera and Alejandro crawled into his family’s chicken coop for a well-composed, feathery introduction. María Isabel and Lupita, identical twins, demonstrated through photos their extraordinarily long school day. 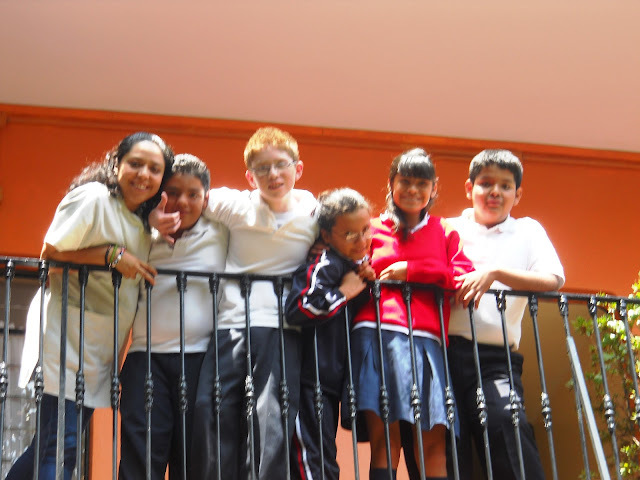 Like many of the students at IPPLIAP, they travel by public transportation to central Mexico City where IPPLIAP is located. This journey takes the twins nearly three hours in the morning and another three hours in the afternoon. They travel this distance because IPPLIAP offers a basic, bilingual education in LSM and Spanish. Some of the families I met made significant sacrifices so their deaf children could attend school among other deaf children and learn LSM, a rare opportunity for deaf Mexican children. Very few Mexican public schools are prepared to offer a bilingual education which is neither mandated nor adequately supported by Mexico’s public education sector. My interviews revealed that IPPLIAP’s bilingual environment offered many benefits to deaf children and their families, but the commitment to send their children to a school far from home comes at a price for these families. Many mothers wait on campus while their children are in class because there aren’t enough hours in the day for them to return home. Mexican mothers are central to domestic operations, and when these women are far from home during the week, their productivity is consequently restricted. These mothers are away from their other children and home-based chores, and have limited options to earn a salary during the hours their deaf children are in school. IPPLIAP families also spent a proportionally large amount of money on transportation. Throughout the project, the twins took many photos during their commute with their mother: These photos depicted walking through darkness with backpacks, and sleeping, eating and arranging intricate hairstyles on public transportation. Lupita’s clock showed they awake before 5 am to find seats on the first bus departing their semi-rural neighborhood for Mexico City. 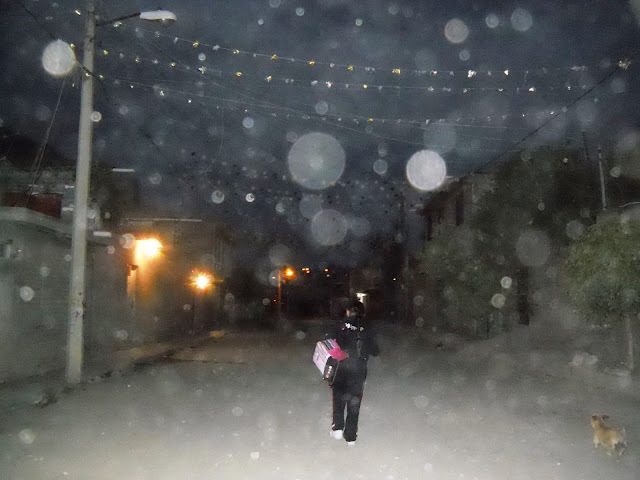 María Isabel’s photo of her walk home at the end of a day was taken around 7 pm. Participants selected photos to represent the theme school and learning, and the titles echo the importance of language and community at IPPLIAP. 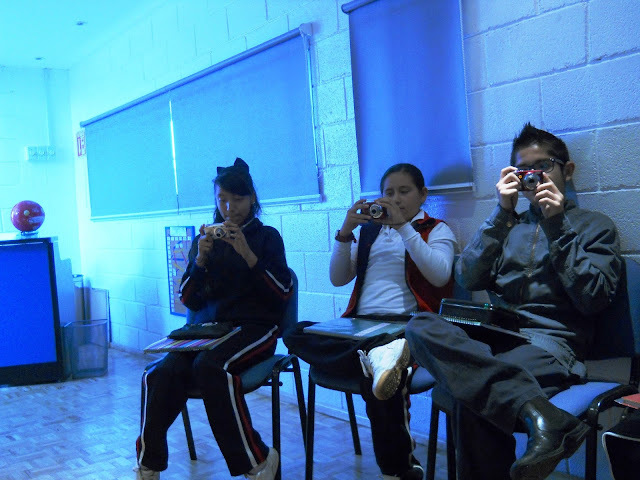 Leonardo expressed that the photovoice workshop was an important part of his cohort’s learning experience during their final year in primary school. 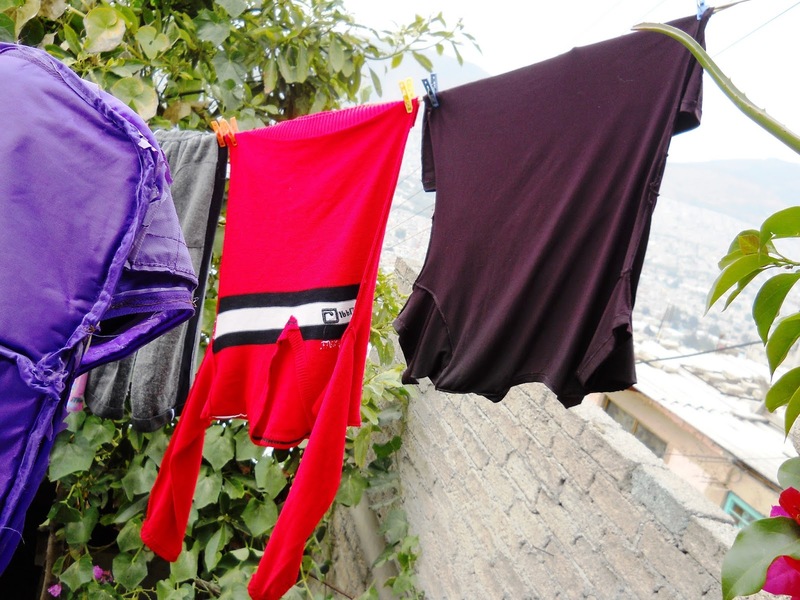 Bladimir’s school uniform hung on the line to dry symbolized his salient school experiences: learning, supporting, and writing. Ricardo’s photo titled “Conviviendo en IPPLIAP/Together at IPPLIAP” captured what many of the participants valued about their time at IPPLIAP: the feeling of community. The opportunity to socialize among other deaf people is crucial for sign language developemnt, one reason deaf schools are thought to offer much more than a basic education. Because the vast majority of deaf children are born into hearing families, most deaf children do not learn sign language until they come in contact with members of a deaf community. Youth participants recalled social isolation and limited understanding in predominantly hearing schools they attended prior to transferring to IPPLIAP. Deaf schools are important sites of language socailization, and for most of these participants, IPPLIAP was their first point of contact with LSM. The teacher’s smile in Angel Omar’s photo reassures us that this sign means “we understand” (ENTENDEMOS). 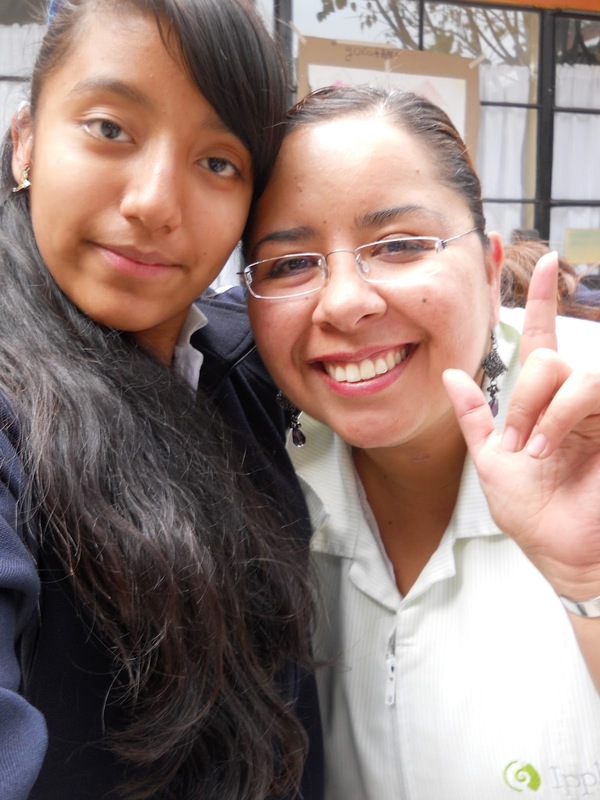 Isabel’s photo demonstrates her cariño (affection) for her teacher, which is reinforced by Marcela’s favorite sign (I LOVE YOU). Signing community members included deaf teachers, classroom assistants, deaf peers and their family members who all served as LSM language models for participants. 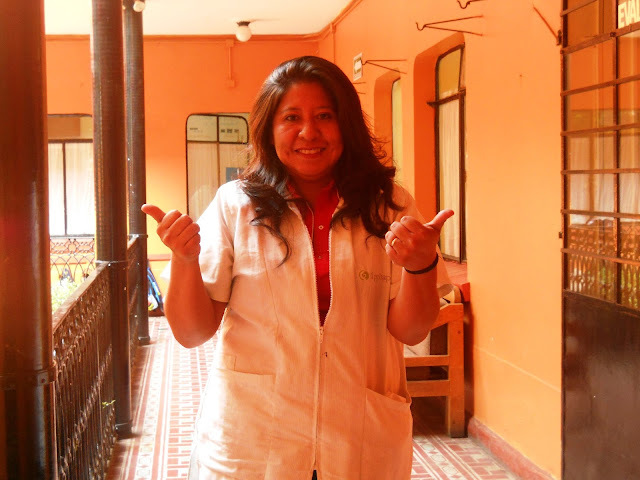 The employment of deaf professionals in Mexico’s public education sector is quite rare, but IPPLIAP was an exception. During the time of this investigation, all teachers and classroom assistants used LSM, and half of IPPLIAP’s teachers were deaf (7 of 14 pre-school and primary teachers). 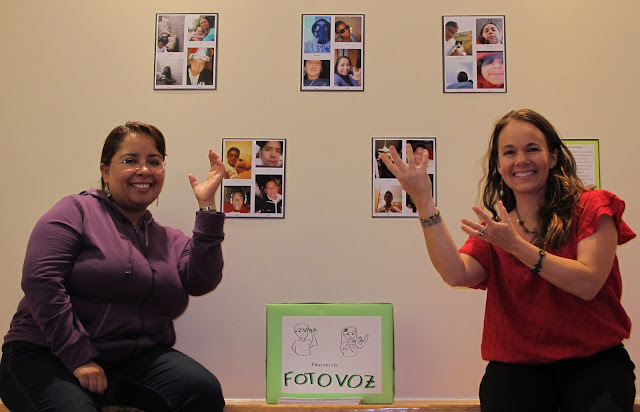 When Marcela and I asked the students to take photographs responding to questions about the importance of sign language in their lives, the responses didn’t come easily. Many responded with photos that didn’t seem to correspond with the theme. This may speak to the participants’ awareness of the minority status of LSM in Mexican society. It may also reflect their constant adaptation between two culturally-distinct linguistic contexts: the hearing environment of participants’ families and Mexican society at large, and the deaf community at IPPLIAP. 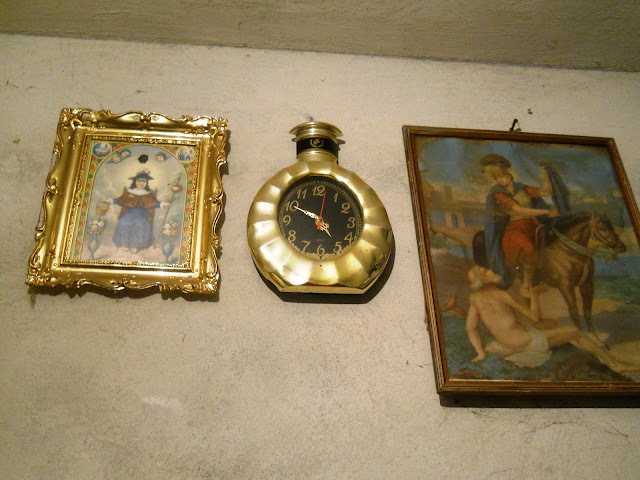 We can see the parallel existence of Spanish and LSM within this selection of photographs. 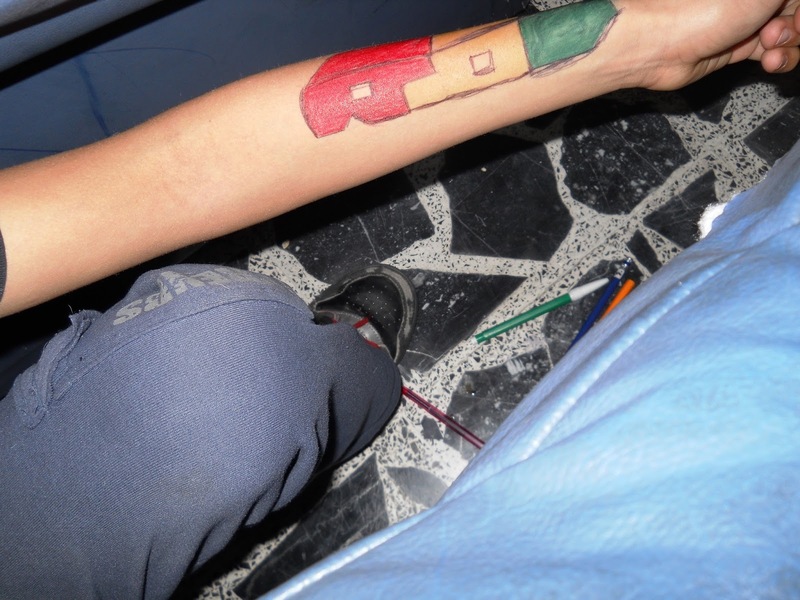 The photo Roberto took of his name inked boldly across his arm symbolizes the omnipresence of written Spanish. María Isabel, Emiliano and Bladimir showed us the importance of a basic element of deaf culture: sign language “apodos” which represent their Spanish-given names (nicknames, or “sign names” as they are known in the United States). Sign names typically use the first letter of one’s name: Emiliano and Bladimir, respectively, showed us the signs for E and B in LSM. These LSM “apodos” are typically assigned by deaf community members, and often play off a person’s physical attributes, personality and/or tastes. As a person grows and changes, their sign name may be reassigned various times. Kevin photographed the monument to Benito Juárez near Mexico City’s historical center. Deaf education is closely associated with Juárez (1806-1872), a cultural and political Mexican icon. 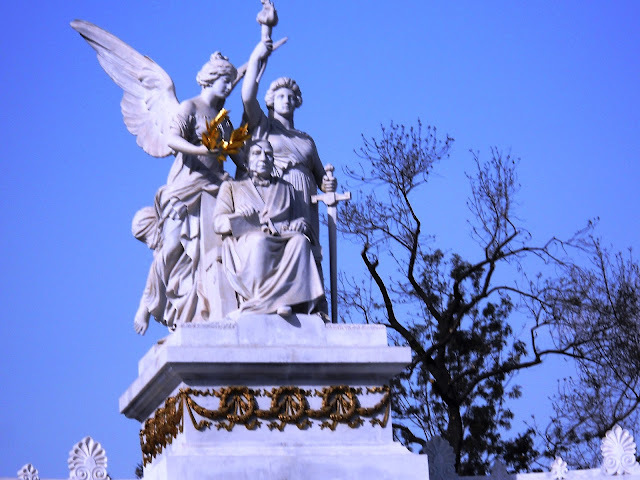 Dear to Mexicans for many reasons, Juárez is especially cherished by deaf Mexicans for his role in establishing nationally-funded deaf education as part of his 1856 reforms. Juárez’s legacy to deaf education, the Escuela Nacional para Sordomudos, operated in Mexico City from 1866-1962. The Hemiciclo a Juárez Kevin captured here was the meeting place for annual Día del Sordo (Day of the Deaf) celebrations each November. 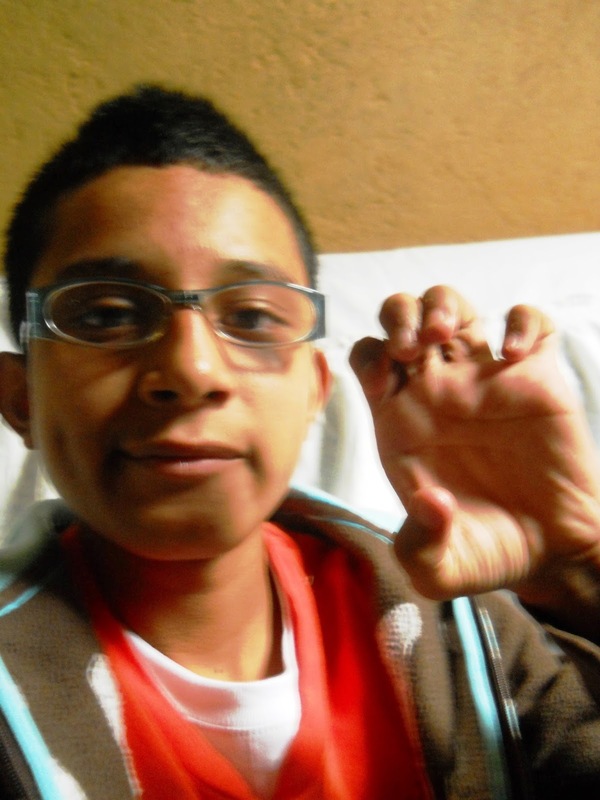 For Kevin, this photograph symbolized the dedication of this former president to Mexican deaf education.